If you’ve ever wondered why facts don’t seem to matter in political arguments and why people get so angry….this is the book for you. 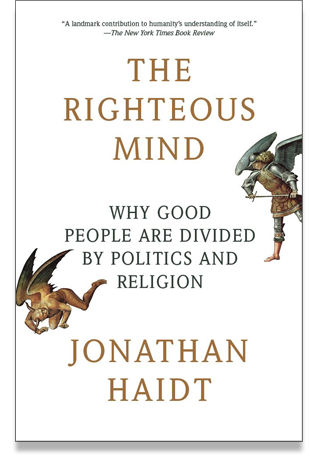 The Crystal City BID will be our host as Christian Dorsey and I lead a book discussion of The Righteous Mind by social psychologist Jonathan Haidt. We’ll meet on October 16th from 7:00-8:30 PM at the Crystal City Connection (Library), 2117 Crystal Plaza Arcade with sips and snacks afterward to continue the discussion. You can register online, or just come. Read the book, or watch the TED talk, or just come. We hope to see you there for a great conversation.